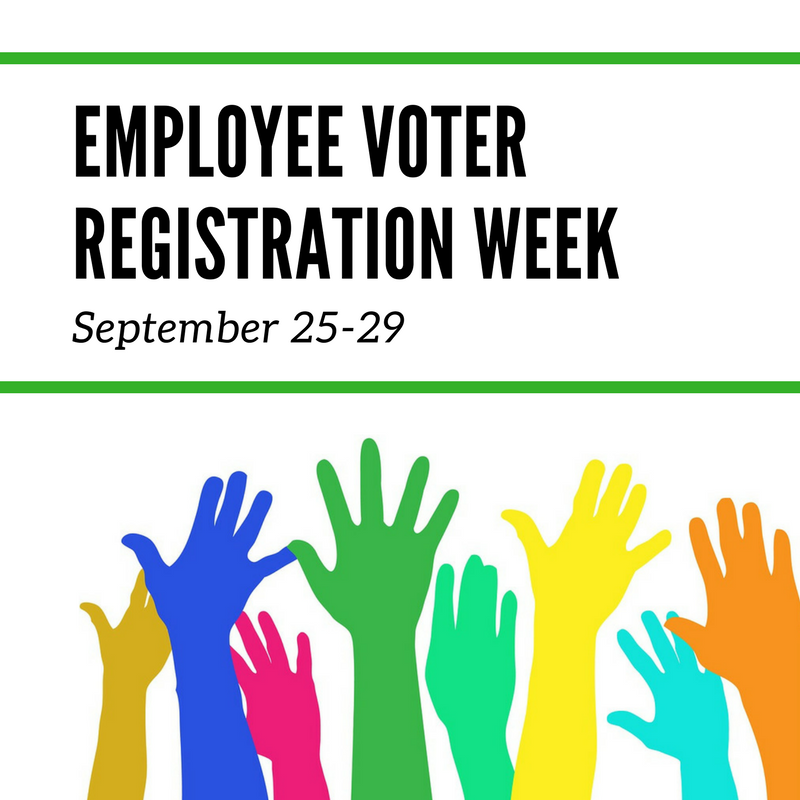 Employee Voter Registration Week begins September 25th. You wouldn't believe the impact employers have on employee voter registrations! Bipac did a study that found 52% of employees said they registered to vote because of information they received from their employers. Visit www.employeesvote.com to find out how you can help promote voter registrations within your company.